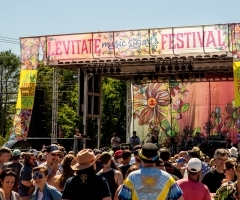 As of today, the 6th Annual Levitate Music and Arts Festival not only rolled out its advance ticket sales, but revealed everyone to grace the stage in 2018! Starting out as a 10-year anniversary party for local and beloved surf and skate shop, Levitate, this New England grassroots fiesta has since turned into an entire weekend of music – extending from one day to two in 2017. 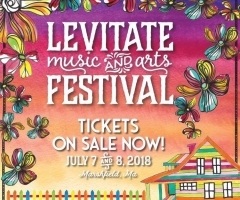 Now back for Year 6 at the Historic Marshfield Fairgrounds, Levitate Music Festival (LMF) is one of the northeast's biggest and best reggae-folk fests in existence. With such epic artists paired with its homegrown vibe, LMF 6 is already well on its way to be one of the best events of 2018. Considering the beach front location of Marshfield, Massachusetts, what better way to spend a hot summer weekend than at the coast enjoying top names in the reggae and jam band business? And, when we say ‘top', we mean the BEST. 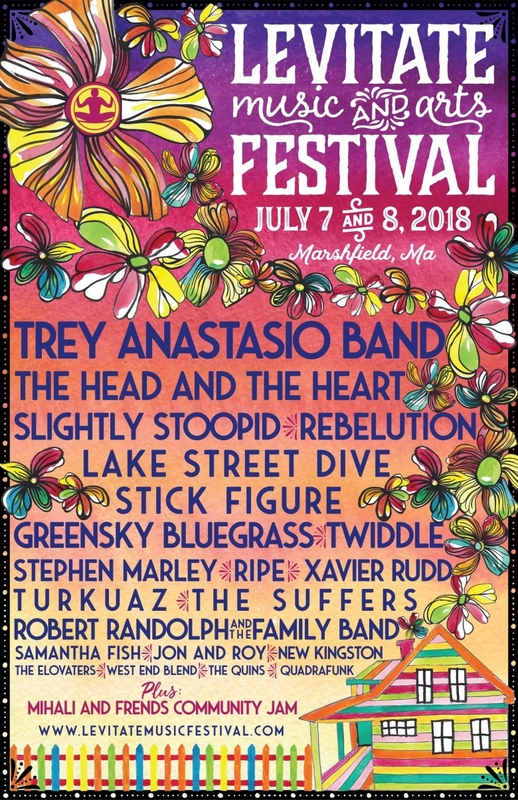 Headlining the 6th Annual is Phish’s Trey Anastasio performing in his solo Trey Anastasio Band, American indie/folk band The Head and The Heart, OG Cali reggae founders Slightly Stoopid and LMF veteran headliners, Rebelution. Not enough for you? 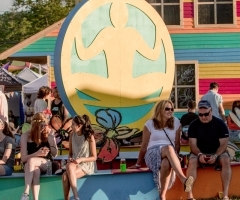 Well, Stick Figure is set to return, accompanied by Lake Street Dive, Greensky Bluegrass, Twiddle, Stephen Marley, Ripe, Xavier Rudd, Turkuaz, The Suffers, Robert Randolph and the Family Band, Samantha Fish, Jon and Roy, New Kingston, The Elovaters, West End Blend, The Quins and Quadrafunk… with more bands yet to be announced! 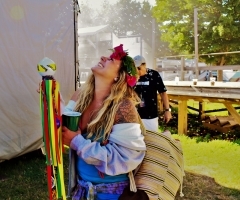 Attendees can also relish in the Mihali and Friends Community Jam in between scheduled acts. With such epic artists paired with its homegrown vibe, LMF 6 is already well on its way to be one of the best events of 2018. And, that’s not an overstatement: LMF has received several nods for “Music Festival of the Year” by Pollstar Magazine, and 2018 might just be the year that it grabs the title. Advance general admission and VIP passes are now available for purchase, starting as low as $109 for the weekend. Levitate in the luxurious life by upgrading to VIP! For only $239 while advance tickets last, festivalgoers can enjoy premium parking and viewing spots (with shade!! ), private beer and water areas, air-conditioned bathrooms with flush toilets, passed around appetizers, accelerated entry and more. 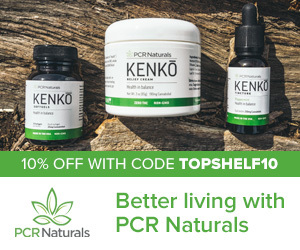 Want to bring the kids without breaking the bank? Not only is this an all-ages event, but kids 4-12 get in the gates for only $20! Daily shuttle buses departing from Boston and Providence are scheduled to get event-goers to the fairgrounds, but to gain the full experience, camping is encouraged at Wompatuck State Park and Indianhead Resort. Not a camper? That's kosher... get guaranteed parking with a pass for an additional $30 on top of your ticket. Secure your Levitate passes now at www.levitatemusicfestival.com.